* Unclear timelines from the bank. * Back HOA expenses the bank won’t pay. * Cash contributions (increasingly more and more). But the hardest side to represent as an agent is the buyer’s side of a short sale because the buyer’s agent has no control of ANYTHING, and has to hope for a solid listing agent who knows what they’re doing. Right? I just ended a painful short sale transaction where I represented the buyer that lasted 7 months and went nowhere. Granted, it wasn’t the easy one-loan in equator kinda deal, but we had absolutely no worthwhile answer from the bank after 7 months, which is totally inexcusable in 2011 as far as I’m concerned. The main problem, in my opinion, is that the listing agent saw this sale as a small income producer and pawned the negotiation responsibilities over to his part time TC. The TC had little-to-no experience with short sales, or negotiating any deals, and therefore little experience in working with banks. Because of her inexperience, I think she had little confidence in dealing with the bank and their personnel and couldn’t push back or demand results when she was entitled to do so. After being a listing agent on several short sales, I’ve come to understand that the burden of success lies heavily on the listing agent and specifically how s/he communicates to both the buyers’ agent and buyer, how she sets expectations and what answers she deems acceptable from the bank. Obviously, the listing agent’s fiduciary responsibility is with the seller/owner and should be focused on doing what is right for them. Provided that all the seller’s requirements are met, then I believe the listing agent should do as much as possible to deliver great terms and price for the buyer BECAUSE that will increase the chances of getting the home sold for the seller, which is hopefully the sellers ultimate goal. So in a sense, I believe the listing agent should be working as hard for the buyer as he is for the seller. If the buyer feels that the listing agent is working diligently on their behalf too, then the deal has an increased chance of closing. * Qualify the buyer from the start. Show the property (if you can) and meet the buyers and their agent up front. That way you can gauge their interest level firsthand, set their expectations early on, displace any weird misconceptions they have about short sales and hopefully impress them that you’ll get this job done if they will meet your commitment requirements. If you can build a little rapport with them, it may help pull them through the transaction when the road gets rocky or if the process drags on. * Realize that you may get paid less than a normal transaction and it will probably take way more time, but spending the time can make this transaction close. You must be OK with that upfront and meet the challenge head on. * When dealing with the bank, be willing to listen, learn and adapt, but don’t take no for an answer. Humility is a great tool and can help deliver results. Don’t be cocky, but be persistent and fight for the results you want. So many people take the banks word as law. I’m not suggesting being obnoxious about it, but if you have problems definitely escalate the issue to management and fight any sheepish feeling you may have about doing so. If you’re nice, then it will be a great break from the norm for the manager to work with you. Managers CAN make decisions, despite what they say. I was able to win favor with the manager because I spoke kindly to her, spoke highly and understanding of my negotiator, and then asked her to help solve my problem. She was extremely efficient (they can get things done QUICKLY) and she even overrode the “investor guidelines” that the negotiator was so adamant about keeping in place. Managers probably expect to be yelled at. When you don’t yell, it’s amazing the results that you can achieve. * Team up with the buyer’s agent and get him/her on your side. Keep the deal together by talking to them consistently and setting expectations and disclosing where the process stands along the way. If the bank says 2 weeks, tell the buyers 4 weeks and surprise them with an early answer. * Exude confidence. And if you have trouble with this, learn A LOT about short sales before getting involved so that you do feel confident. Thanks for reading — please chime in with comments. I look forward to hearing about your experiences and if you agree with these thoughts. 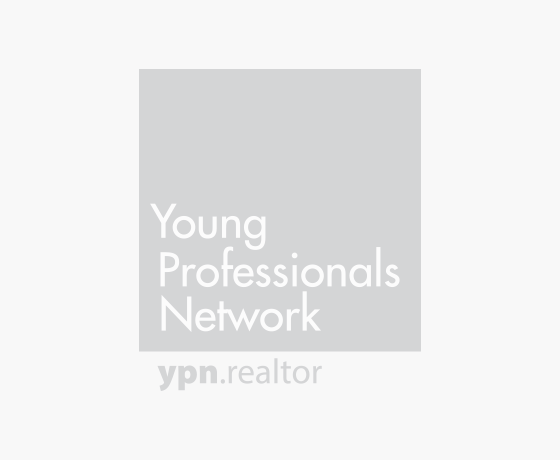 TG Gallaudet is a REALTOR® in La Quinta, Calif., and co-chair of the Desert YPN. Visit his Web site: www.gallaudet.com. Well, great headline first of all…made me click! Completely agree, when working with a buyer interested in a short sale…it is very, very important to me to know the sellers agent is on top of things. Otherwise, it’s hardly worth the frustration for both my buyer and myself. Those tips are great for just about any transaction though! Thanks for the comment Randyn. Agreed! Well said… Thanks for the post! Nice article! I agree with all your tips except perhaps the bit about delivering “great terms and price for the buyer” in the interests of making the sale stay together and thus achieving the seller’s primary goal of selling to escape a mortgage they can’t pay. Short sales are generally a great price anyway for the buyer, as they need to be listed on the low side of market price to attract buyers willing to wait. I don’t think the listing agent should be doing anything to make the terms better for the buyer, only looking out for whether there might be any changes to the terms of an offer that might benefit the seller. Great article about Why I Love Being on the Buyer’s Side in a Short Sale thanks to share. Hi TG. Thank you for the insight. I am a new to the world of buying homes. All the properties I have interest in are short-sales. Once I disclose my interest, the seller’s agent immediately advises me that it will take a while and they want cash offers. I do not have $400k+ cash to put down. Can you provide any suggestions for that initial contact? Are you familiar with any experienced short sale agents in the NYC area? I hope to hear from you soon.